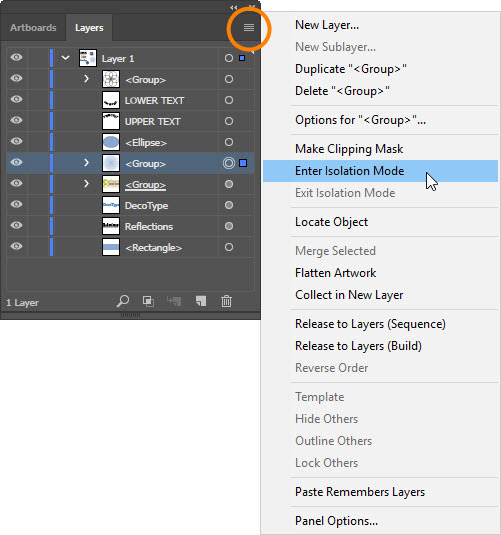 Adobe Illustrator's Isolation Mode is used to edit objects or paths within a sublayer, compound path, group, or symbol. When Isolation Mode is entered, anything not within the isolated object will appear dimmed out. There will also be a gray isolation bar at the top of the document window. There are two ways to enter Isolation Mode. One way is to simply double-click the object you want to edit. The other way is through the Layers Panel. Select the object or group, then click the panel menu and choose Enter Isolation Mode. 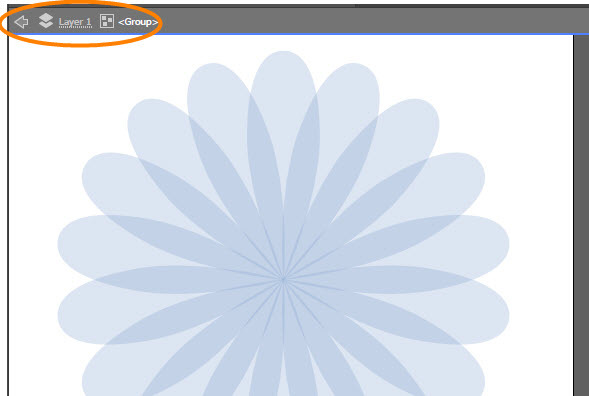 Notice the gray isolation bar at the top of the document window with the arrow at the left side. When you are finished editing the isolated object, click the arrow until the isolation bar disappears. As you edit, you're "drilling down" into deeper levels of isolation, so you may have to click the arrow a few times to exit. Alternatively, you could also press the Esc key on your keyboard.